Through the PRAKRITI program, Shanti Patel set up a mushroom incubation unit in her home to earn supplemental income for her family. It’s after 5 p.m. when Shanti Patel finally makes it back to her house. She spent the last eight hours working in the field, but her day is far from over. She steps inside, barely pausing to set down her belongings before making her way to a dark, make-shift room that adjoins her house. Transparent bags filled with damp straw and mushroom seeds are lined up in neat rows along the floor. Bright white mushrooms are beginning to sprout from the bags, growing haphazardly in every direction. Shanti sprays the bags with water (ensuring that there is enough moisture for optimal mushroom growth), checks the humidity of the room, and departs to resume her daily household chores. 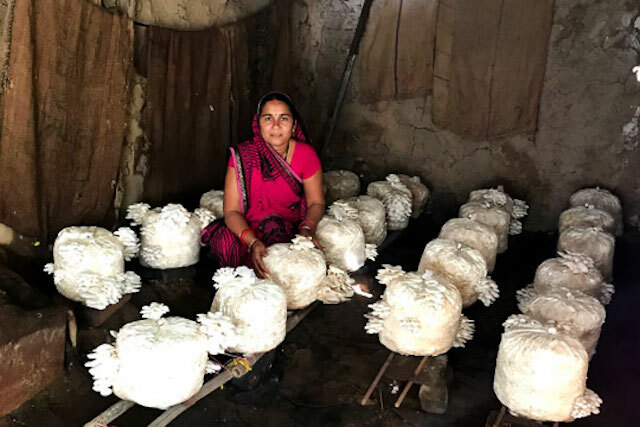 In Sonkhedi, a small village in southwestern Madhya Pradesh, India, women like Shanti are setting up small incubation units in their homes to grow oyster mushrooms. Often called “dhingri” in India, these mushrooms are rich in proteins, vitamins, and minerals. High in demand and requiring minimal investment, these mushrooms offer a great opportunity for microenterprise – however, setting up a mushroom microenterprise comes with a unique set of challenges. In India, women like Shanti often face challenges accessing the same information, networks, and capital as their male counterparts. To address this issue, TechnoServe partnered with Visa Inc. to develop the Pioneering Rural Women Empowerment in Key Agribusinesses through Sustainable Initiatives (PRAKRITI) program. PRAKRITI launched in October 2018 as a way to organize women smallholder farmers under one body, enhance their access to individual and institutional finance, and link them to lucrative markets where they can apply their collective bargaining power to negotiate better prices. Through the program, TechnoServe provides weekly training sessions for women farmers, where they learn valuable life skills such as communication, time management, problem solving, and decision making. Gayatri Vikram Singh was one of 30 women who participated in a two-day training workshop on oyster mushroom cultivation. After listening to the needs and concerns of program participants, TechnoServe identified mushroom cultivation as a microenterprise with high potential for women farmers in Madhya Pradesh. Because the market for oyster mushrooms in India is still nascent, the initial start-up costs can be high, even for commercial growers. 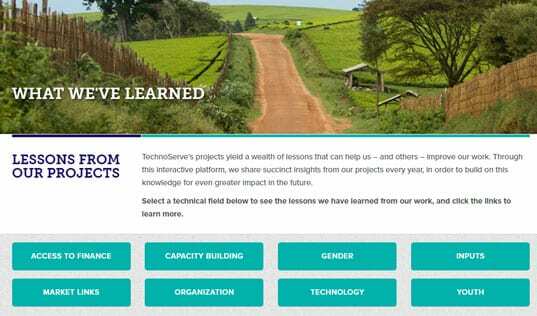 To navigate these market challenges, TechnoServe worked with women farmers to develop technical skills and establish business connections. For the technical skills component, TechnoServe partnered with Bhawika Mushrooms, a local commercial cultivator, to conduct a two-day training workshop for a group of 30 women. The training focused on specific oyster mushroom cultivation methods, including preparation of bags, maintenance of a conducive environment for growth, and harvesting techniques. A smaller group then visited the large mushroom cultivation unit at Bhawika Mushrooms, where they witnessed firsthand the profitability and scalability of such a venture. At the end of the training, many women like Gayatri and Shanti decided to set up their own smaller mushroom cultivation units at home. To help the women take the next step and establish market connections, Technoserve worked with three farmer producer organizations to provide a vital link between cultivators and buyers. One of these organizations, Khargone Producer Company Ltd., gathered demand for inputs, placed collective orders, and distributed mushroom growing kits. "I will use the income I earn to pay my house loan, fund my children's education, and occasionally buy myself small things instead of asking my husband." In only 45 days, the women in Sonkhedi began to see promising results from their in-home incubation units. 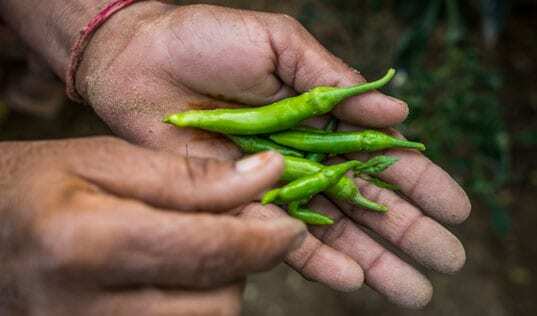 With a 60 percent profit margin after their second and third harvests, these microentrepreneurs now plan to double their investment and set up larger units on their farms. With the supplemental income from the mushroom microenterprise, the women of Sonkhedi are able to invest in their children’s education and feel more ownership over their own financial situation. 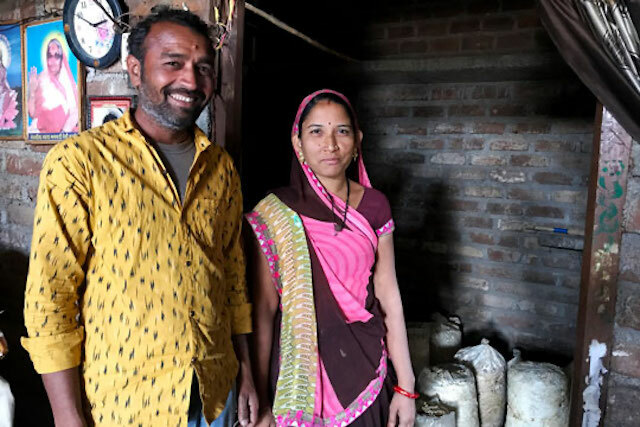 "I will use the income I earn to pay my house loan, fund my children's education, and occasionally buy myself small things instead of asking my husband," Gayatri says. As more women join the initiative, each person plants a seed of lasting change, redefining women’s roles in the household, from homemaker to breadwinner.